Like eating together with the entire family at one table without having to cook alone? The unique Princess 162620 Raclette Premium Grill & Stone gives you the opportunity to do so with just one device. 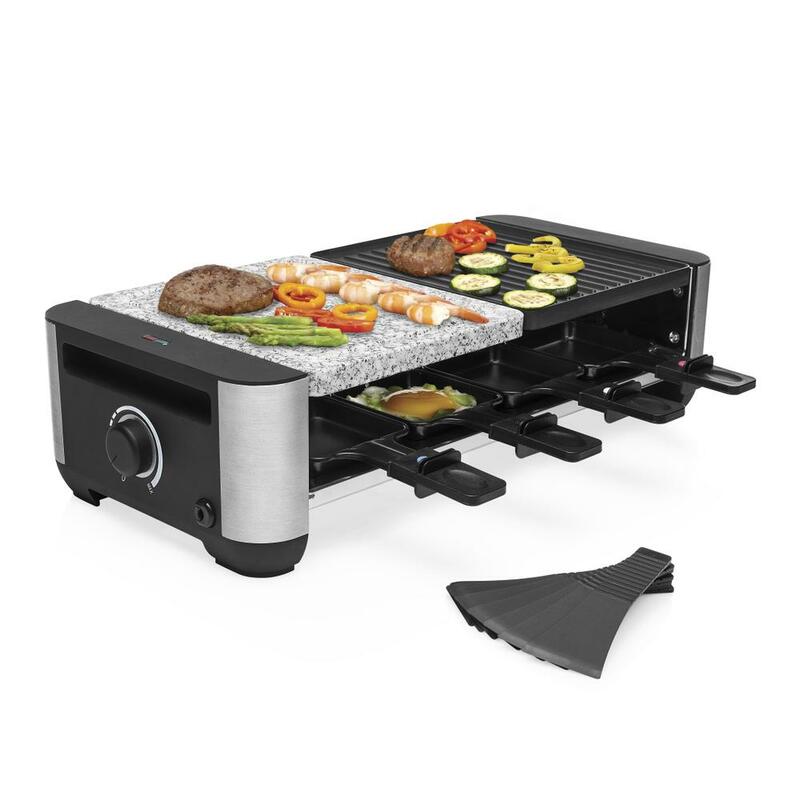 The raclette has two different plants: a stone one for stone grilling and a reversible grill plate. This plate has both a flat and a ribbed side so you can choose between grilling, teppanyaki and raclette. 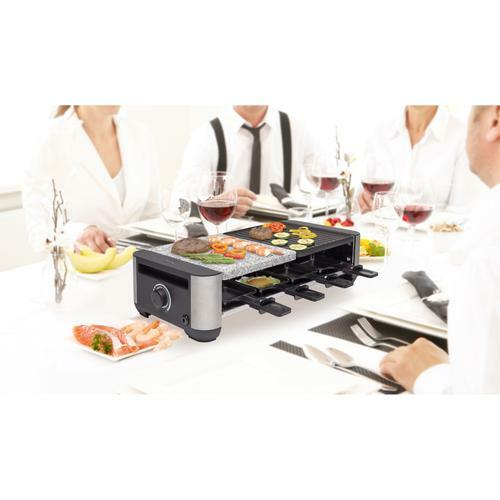 This luxurious raclette suits up to 8 persons. Raclette is a Swish traditional way of cooking together that lets families and friends enjoy a cozy evening cooking together at one table. No more slaving away hours in the kitchen, but anyone can prepare their own favorite food while sitting together at the table. 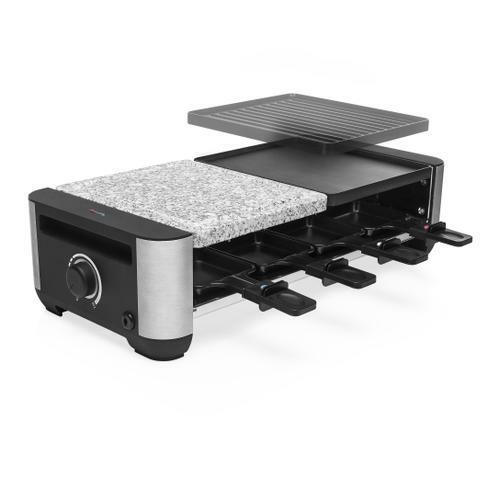 The top raclette grill is made of a stone grill plate and a high quality die cast aluminum plate that has one flat and ribbed side. On the ribbed side you can create those perfect grill streaks and on the flat side you can cook teppanyaki style. 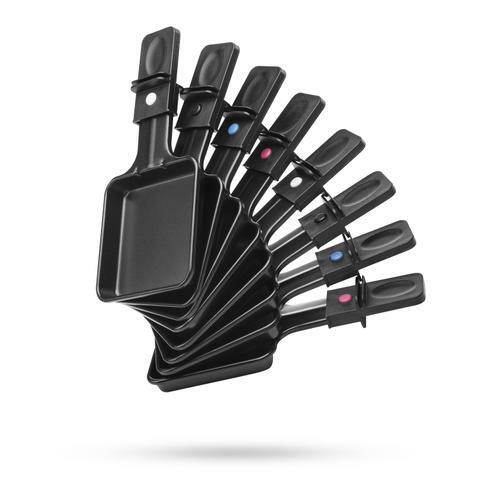 The sets is completed with 8 pans that you can use for cooking eggs, pancakes or melting cheese. 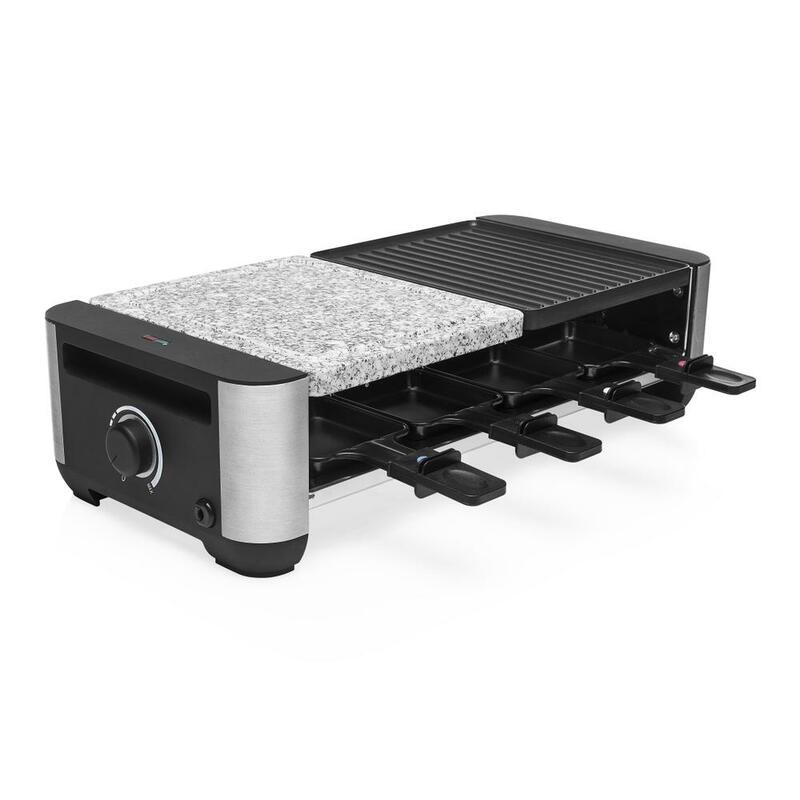 The Princess Raclette Premium Grill & Stone has an integrated thermostat so you can adjust the temperature to your liking. 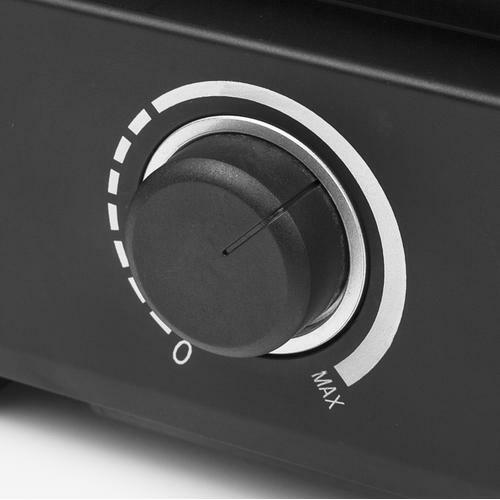 The indication lights show whenever the raclette has reached the set temperature. Thanks to the 1400 Watt power this happens very fast. 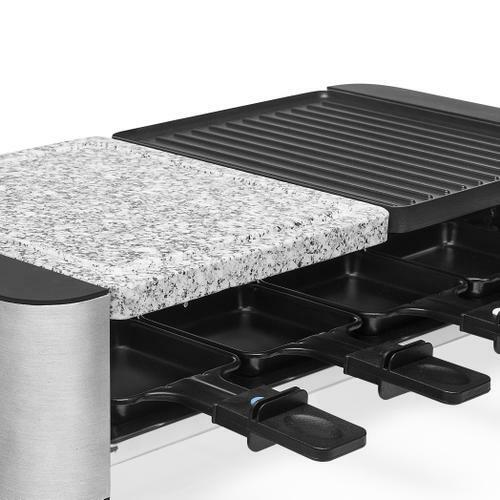 The luxurious stainless steel accents makes the Princess Raclette Premium a real eyecatcher on your festive dinner table. 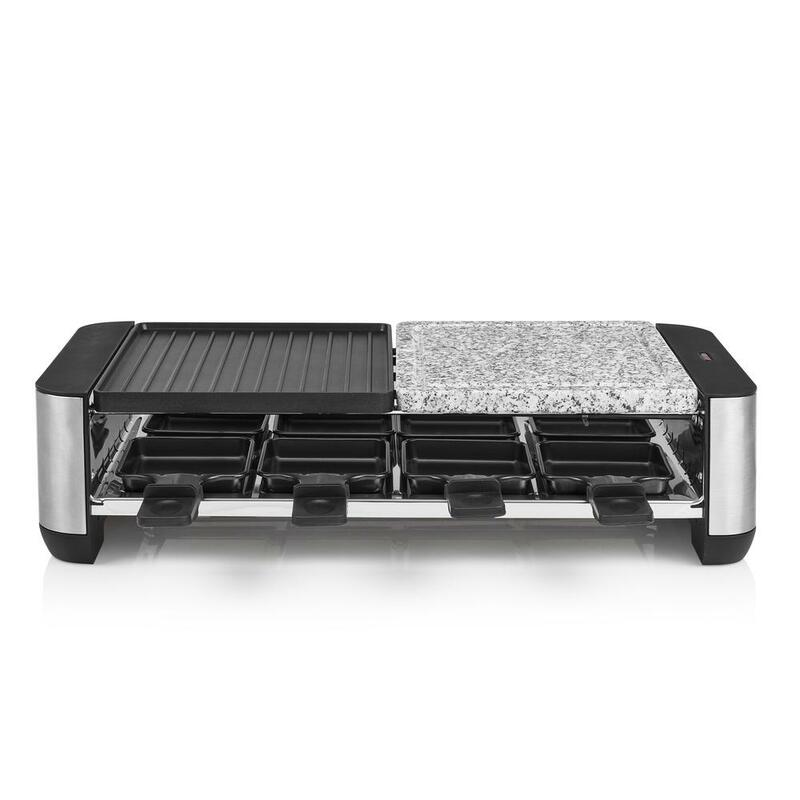 Nothing sticks to the high quality non-stick coating so the Princess Raclette Grill & Stone is easy to clean. Wipe the grill plates with a kitchen towel and put them into the dishwasher together with the pans and spatulas.